We, Us or The Company, Our trading address is 16, Pendine Grove, Stoke on Trent, Staffordshire, ST4 3RJ. We are committed to the protection and safeguarding of personal information that we may hold about you. Our company is also registered as a "Data Controller" with the Governments Information Commissioners office. > Purchase goods or services from us. > Create an account with us, or sign up for a service or feature. > Participate in a survey, sweepstakes, poll, contest or other promotion. > Submit a rating or review of our products & services. > Otherwise communicate with us or provide additional information to us. store and track information about your usage on our website. This information helps us to personalise our site. may store cookies on your device. The above information is required to provide you with the range of products and services we offer. > Requesting a system survey. > Requesting a security risk assessment. 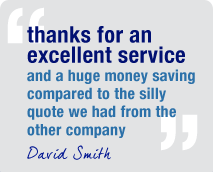 > Providing you with a Quotation, Sales Agreements & Contracts. > Providing you with a Customer account on our management database systems. > Providing you with a range of services relevant to your Sales Agreement or Contract. > Maintaining & updating your customer account and system records on our databases. use the information we hold to contact you for advertising, market research, special or promotional offers. Our method to contact you will be by either email, phone, fax, post or by automated text message service. or other government authorities, or in other circumstances otherwise as required by law. any such information you post will be available to access on the internet depending on your security settings. > Please contact us for further information on the third-party companies currently acting as data processors. All personal information is securely stored both locally and on remote secure servers located within the U.K.
personal information from unauthorised access or it being accidentally lost, misused, altered or disclosed. you and any applicable regulatory body of a suspected breach whenever we are legally required to do so. We are required by UK tax law to keep your basic personal data " name, address, contact details etc"
required and necessary steps to ensure that your personal information is kept secure at all times. All personal information and account details will not be sold or shared with any persons or organisations. > Request access to your personal information. > Request a copy of your personal information we hold on record. > Request a correction or amendment of your information we hold on record. > Request a complere erasure of your personal information. > Request a usage restriction of your personal information. or excessive. Alternatively, in such circumstances we may refuse to comply with your request. We recommend that you should contact the Information Commissioners Office on 0303 123113. Users may be informed of policy changes via email notification. Our latest policy is always available on our website.